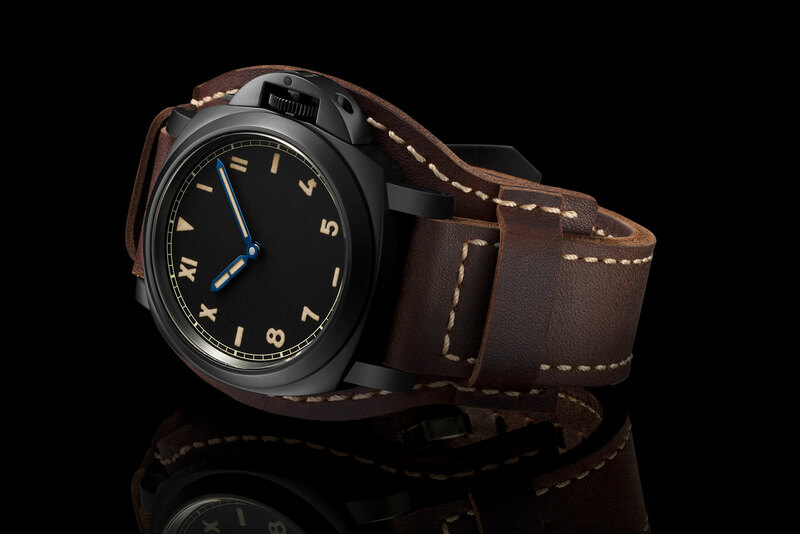 For the first time, Panerai has created an automatic version of the Radiomir 1940. The new caliber (P.4000) is in-house made and features an off-center rotor made of tungsten or 22K red gold, which allows more of the movement to be viewed, unobstructed, when it is off your wrist. Also, something we love about it, is the full balance bridge. The Rolex caliber 3135 and Audemars Piguet caliber 3120 also have traversing balance bridges, which improves shock and vibration resistance. Not to mention, the impressive 3-day power reserve (two barrels). The P.4000 has 31 jewels, 203 total components and a cadence of 4Hz. 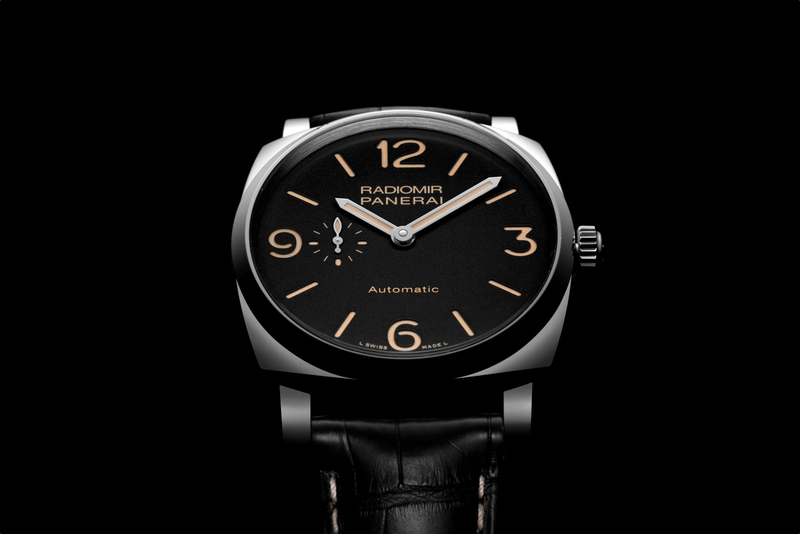 The Radiomir 1940 3 Days Automatic is available in steel with a black dial and red gold with a brown dial. The case measures 45 mm in diameter and is polished to a mirror finish. 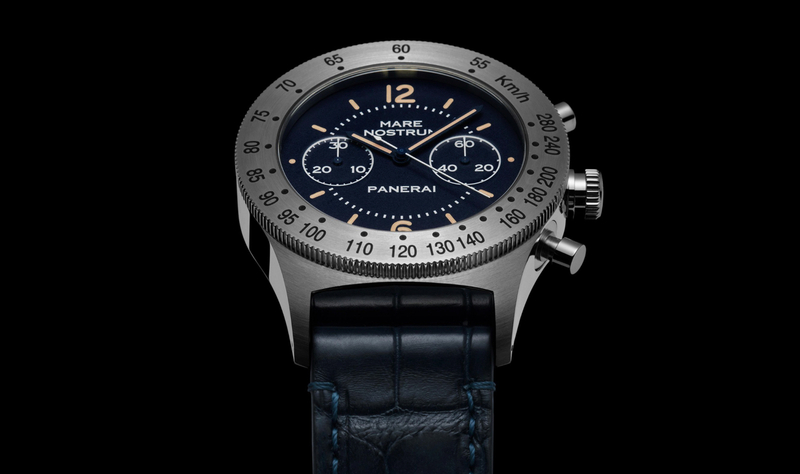 The dial features Panerai’s signature sandwich construction. Functions include hours, minutes and small seconds. 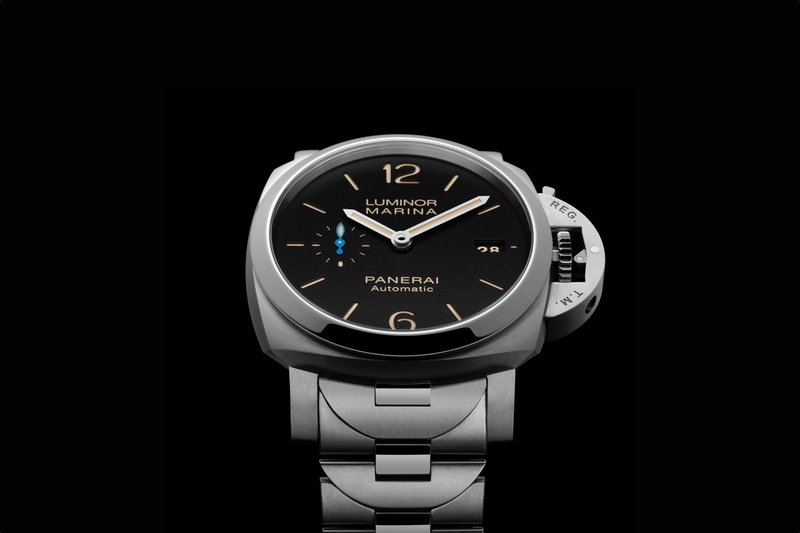 The Panerai Radiomir 1940 3 Days Automatic Acciaio (steel) and Oro Rosso (red gold) come on either a black or brown alligator strap, with a polished buckle matched to the case metal (steel or red gold). Water-resistance is 100 meters.